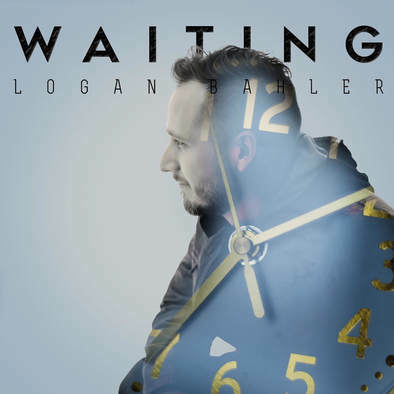 Raised in Omaha, NE, singer/songwriter Logan Bahler began writing songs in high school, but his musical career really began while as a freshman at York College in York, NE where he studied business and played soccer. There he began writing songs with his good friend and roommate, Nolan Rathe. The two soon enlisted two of their friends and formed the Christian alternative rock band, Waiting for Dave; named in honor of the band members' mutual friend who was a grade behind them. Dave did join them the next year at York College, but ironically was never a member of the band. Bahler was the lead singer and frontman for Waiting for Dave from 2004 to 2007, where they played many shows in Nebraska and throughout the mid-west and released a self-titled EP before amicably breaking up in his senior year. For the next ten years, Bahler took a hiatus from performing while he settled in Clear Lake, IA and started a family with his wife, Nikki. Although he did not perform, he continued to write music influenced by his faith, family, and life experiences. In 2018 he re-entered the music scene with his self-released single, Waiting, a folk-pop song inspired by the couple's experience with their international adoption of their two boys from the Central Africa Republic. Check out my Spotify playlist featuring some of my favorite Christian artists and songs. I think most people would agree that you can tell a lot about a person by the type of music they listen to. While this list is certainly not a comprehensive list of all my musical influences, I feel pretty confident saying that if you like some of the songs on this list, you will probably dig my music. Just for kicks, here is our old Waiting for Dave EP! In addition to writing music, I am also an experienced graphic designer. You can read more about this in my first blog post. If you are interested, you can check my design work at www.logheaddesign.com. These are some of the things that I currently use in my creative process.